Nowadays, there are so many different kinds of camping tents for people to choose in this market, such as pop-up tents, tipi tents, dome tents and many more. If you have a weekend to spare with your family or your friends, you will drive out to the country somewhere and find a friendly campsite to stay at. This must be a cheap and fun way to spend the weekend. If you don’t want to spend so much time on pitching a tent, so the inflatable tent is your best choice. Because they are very easy to bring and pitch. Although pitching an inflatable tent is easy, if you want to pitch it better in your weekend trip, so you should know some useful tips clearly. 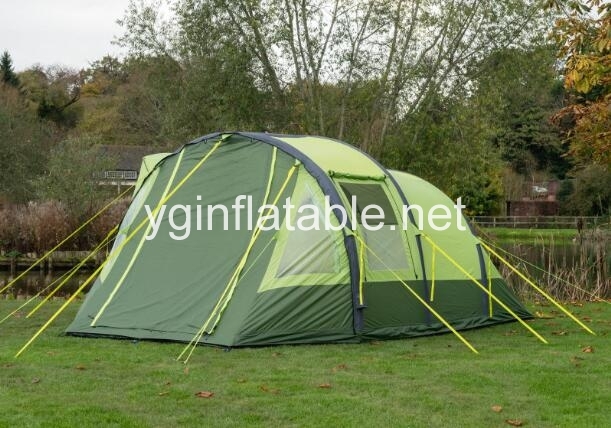 Inflatable tents are ideal because they take less time to set up than traditional ones. If you use an inflatable tent, you will find that when you hold a cup of coffee in your hand, those who use traditional tents have just put down their moisture-proof cloth. That's how quick to set up an inflatable tent. They are also a good place to shelter from the rain, because when you go camping, this can't be taken lightly. When you have arrived at a nice camping site, the first thing you should need to do is to clear the area of where you want to pitch a tent. Make sure there are no protruding stones or glass and also branches and twigs in the area. You now need to lay down a piece of tarp as protection, this is not essential. 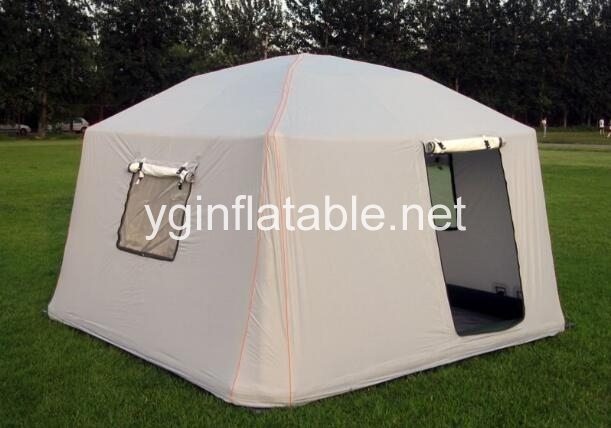 If you want your new inflatable tent to last the course then it best that you take this precaution. As soon as you have this part you are now ready to get the tent out. Connect your air pump to the tent and switch it on. It will only take a matter of seconds to fully pump the whole of your inflatable tent. Once it is fully inflated be sure to connect all of the ground stakes. These make sure that your tent will not vanish in a high wind and secure it neatly in place. Now you can enjoy the weekend away and just unpack your camping gear and put up the rest of your camping equipment such as your barbecue and folding camping table. 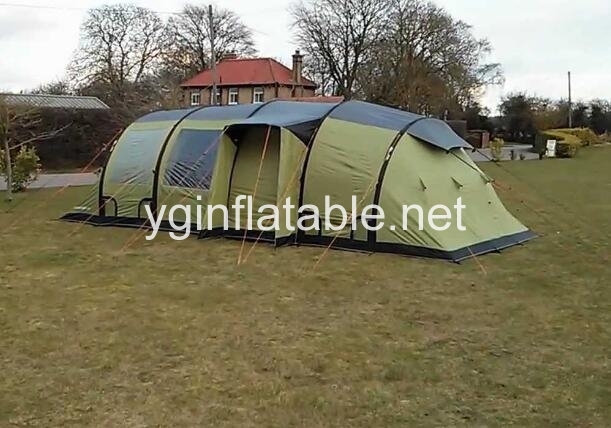 Once you have experienced the ease of the inflatable tent it is unlikely you will ever go back to the days of spending an hour erecting your conventional dome tent.